Every once in a very long while, an ancient, unique and unlikely recording surfaces that somehow eluded the pulverizing millstones of Time. Recordings like those of William Ewart Gladstone, our own Lord Stanley, Robert Browning, Lord Tennyson, P.T. Barnum, Johannes Brahms and the great scientist Lord Kelvin. This is the story of identifying the person in another unlikely long-surviving sound portrait. A Canadian one! Edison’s North American phonograph Company leased its machines in British North America through Holland Brothers in Ottawa. George (official Senate reporter) and Andrew Holland promoted equipment like Edison’s North American Phonograph Company products and the Smith Premier Typewriter to the Canadian Government as modern, labour-saving devices, with their motto "Improvement the Order of the Age." Forty years ago, our friend and colleague Paul Dodington found an ancient Edison "Class M" phonograph and the remnants of a collection of brown wax cylinders that had been used for giving public phonograph concerts in the Warkworth / Grafton area in the early 1890s (CAPS News, July-August 1993; reprinted in this issue). Inside the "Class M" case, Paul found some yellow cardboard tickets, reading "Complimentary, Admit One to Phonograph". Also an original bill of sale from Holland Brothers, Ottawa, dated January 21, 1892, for a dozen No.1 recording blanks, sold to Mr. W.A. Holmes of Warkworth, Ontario, for $4.00 plus 25¢ packing. 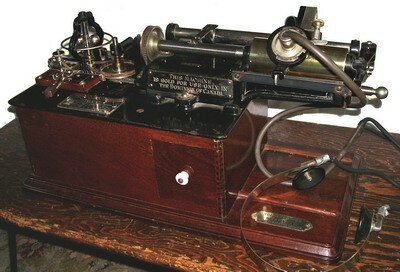 George (official Senate reporter) and Andrew Holland promoted modern, labour-saving equipment to the Canadian government, such as Edison’s North American Phonograph Company products and the Smith Premier Typewriter. Their motto was "Improvement the Order of the Age." The surviving commercial cylinders in the collection are from 1890-93, products of the North American Phonograph Company, of the Columbia Phonograph Company of Washington D.C. and of the New Jersey Phonograph Company. There are also assorted home-made recordings cut onto brown wax blanks. 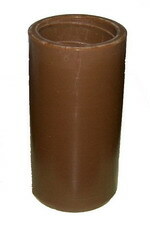 One of the unlabelled home-made brown waxes begins with the announcement, "'I've Worked Eight Hours This Day', sung by Mr. W.E. Ramsay of Toronto". The piano kicks in and then Mr. Ramsay sings the Felix McGlennon song (Francis, Day & Hunter, London, 1890) in his deep stage-Irish baritone. The several refrains are variations of "For I've worked eight hours this day / And I think I've earned my pay / When the clock strikes six he puts down his bricks / I won't work a half a minute longer". A most pointedly topical song for that pre-union period and likely quite controversial in Tory Toronto. Who was Mr. W.E. Ramsay of Toronto, and when might this unique cylinder have been recorded? Might's Toronto City Directory (MTCD) yielded the first clues. William E. (later listed as W. Everett) Ramsay turned up in Toronto in 1887 as a clerk with A. Milligan, tobacconist, and then for a few years was a bookkeeper at Keith & Fitzsimmons, plumbers, steam- and gas-fitters, 109 King Street West. In 1894, he was listed as a vocalist instead of as a bookkeeper, then as an elocutionist, in 1898 as a humorist, in 1899 as a comedian and finally, in 1900, as a vocalist again. After 1900 there was no entry for William Everett Ramsay in MTCD. At Toronto Reference Library we were shown an original Massey Music Hall program, dated October 19, 1894, the Annual Entertainment of the Royal Grenadiers, in aid of the band fund, featuring Mr. W.E. Ramsay performing his humourous lecture "Grand Scenic Production, A Trip Around the World". Then, out of the clear blue, the librarian told us that she is W.E. Ramsay's great grand-daughter! Furthermore, she told us, Ramsay was part of the vaudeville team of Rich and Ramsay and they toured all over the Great Lakes Basin in the 1890s. Ramsay sang and did comic sketches, but can't have been much of a dancer, she said, since he was flat-footed. Unfortunately, the family has retained little information on W.E. Ramsay. Through The Toronto Star and Globe and Mail electronic databases, we followed in detail the careers of Rich and Ramsay and of Ramsay himself. Harry Rich stage-managed and the team appeared as end-men with the Toronto Lacrosse Club Minstrels (G, Jan. 25, 1892, p. 8). Ramsay came to the fore as the Lord High Executioner in Mme. Obernier's production of Gilbert and Sullivan's "Mikado" at the Academy of Music (G, Apr. 13, 1891, p. 8), and he got a good review in an amateur production of Edward Jakobowski's popular comic opera "Erminie" at the Grand Opera House in 1893: "Should Mr. Ramsay adopt the stage as his profession, he would undoubtedly achieve success" (G, May 30, 1893, p. 5). Ramsay later soloed at the Pavilion in the Horticultural (Allan) Gardens, at the Grand Opera House on Adelaide Street, at the Academy of Music on King Street West, at Dingman's Hall at Broadview and Queen (TES, Apr. 23, 1896, p. 5), at The Auditorium on Queen West (for all locations, see LAR), at the new Massey Music Hall and at the Toronto Ferry Company's Roof Garden above the wharf at Hanlan's Point (TES, June 20, 1896, p. 2 through TES, Aug. 26, 1896, p. 2). In fact, during the summer seasons of 1895 and 1896, the Roof Garden entertainment was managed by Rich and Ramsay (TES, June 29, 1895, p. 2; TES, June 15, 1896, p. 1), whose first appearance in the 1896 season was in their skit "2 Orfuns" (TES, June 22, 1896, p. 2). An 1895 review indicated that Rich and Ramsay could be depended upon to entertain people with songs, duets and skits, and that they were better than many of the other artists at the Roof Garden. Ramsay's character songs, however, were the best things on the bill (TES, July 17, 1895, p.2). Ramsay's best remembered songs were "The Artful Dodger" and "Rackety Jack". Rich would make up as an old man to sing "Boys of the Old, Old School", and his most famous number was "You're Getting More Like Your Dad Every Day", which became a local catch-phrase. The two did a character skit called "The Laundry Girls" and Ramsay impersonated a street cleaner and Rich an earl in their "Upper Ten and Lower Five". One of Rich and Ramsay's best-loved bits at the Roof Garden was an old vaudeville shtick, where one of them told a long funny tale and, just as he reached the climax of the story, a long blast from a ferry's steam whistle would drown out the end...."and the audience gives thanks" (TES, July 17, 1895, p. 2). Both Rich and Ramsay were members of Zetland Lodge, Freemasons, Toronto District Five, which met at the impressive Masonic Hall at 20 Toronto Street, but can't have belonged to a musicians' union because the union did not accept anyone but instrumentalists (personal communication, Alex Macmillan, Toronto Musicians Association). 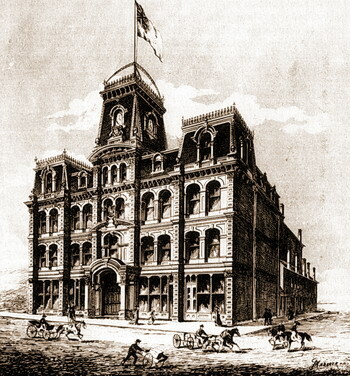 The Grand Opera House (1874 - 1927), 27 Adelaide West, just west of Yonge, where Ramsay appeared in Jakobowski’s "Erminie" in 1893 and a year later presented his "Sheppard’s World’s Fair" there (TES, Feb. 17, 1894, p. 4). All that survives of the Grand Opera House is the little "Grand Opera Lane", south off Adelaide. Many of Ramsay's solo entertainments appear to have been multi-media shows, with lantern slides, moving pictures, bands, comic sketches, pageants and accompanied songs. At the Grand Opera House in 1894, Ramsay presented his humorous description of "Sheppard's World's Fair" (TES, Feb. 17, 1894, p. 4), interspersed with amusing songs and showing the only set in Canada of coloured lantern slides of the Chicago World's Fair (G, Feb. 17, 1894, p. 20). 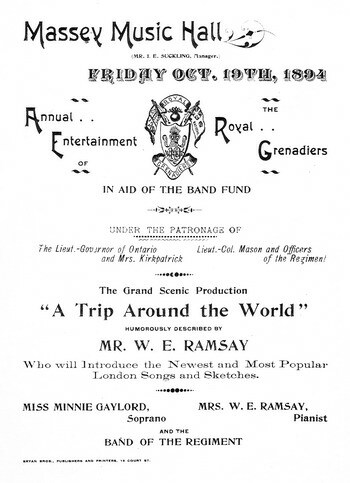 In his 1894 humourous lecture "Grand Scenic Production, A Trip Around the World", under the management of the Ramsay Amusement Company, he employed stereopticon views, introducing "The Newest and Most Popular London Songs and Sketches" and was assisted by Miss Minnie Gaylord, soprano, the Band of the Royal Grenadiers directed by J. Waldron, and Mrs. W.E. Ramsay at the piano. In the course of "The Trip", from Manhattan's Elevated Railroad through the British Isles, France, Belgium, Germany, Italy, the Holy Land, Hong Kong, China, Japan and home via British Columbia, he sang "Private Tommy Atkins", "The Blacksmith", "Trafalgar Square", "The Absent Ones", "Jacob Straus" (suggesting that he could do a passable Deutsche accent), "For a Girl" and the four comic songs "Constantinople", "Trinity Church", "Change It" and "Mesmerism" (TW, Oct. 20, 1894, p. 3). That concert, under the patronage of the Lieutenant-Governor of Ontario and Mrs. Kirkpatrick, had sales so large that the Regiment considered repeating the show, but Ramsay was already "booked every night up into December" (G, Oct. 15, 1894, p. 8). Incidentally, the Ramsays had returned from a trip to Europe only six weeks before this concert and had pre-announced the title before sailing back (TES, Sept. 1, 1894, p. 1). Very likely Ramsay found the new songs and the stereopticon views overseas. The sheet music of most the songs that he sang can still be found so that, aside from the text of the lecture, one could almost re-present that entire program. The specific transparencies are likely untraceable now, but were then available to buy or rent from many sources, both singly and in sets. During the Boer War, Ramsay was involved in W.E. Suckling's series of eight "Military Concerts" at Massey Hall, featuring military bands, stereopticon views, military movies, school children performing national dances and fancy flag drills, and guest soloists singing patriotic airs. Ramsay often narrated those slide and film shows, sang popular patriotic songs like "Take the Muzzle Off the Lion" and "Transvaal", rendered comic ditties, did character sketches and put on skits (TW, Nov. 27, 1899, p. 2). At the December 2 concert, they "fired a fusillade of muskets which made many ladies start in their seats". And Ramsay sang "The Boys are All Out There", followed by "moving pictures showing the departure (for South Africa) of the (brave Canadian) contingent from Quebec, and other views which aroused frenzied excitement...." He also "introduced a clever skit on Mr. Tarte (M.P., Laurier's Minister of Public Works, opponent of the Boer War and publisher of La Patrie), in connection with the sending of the contingent to Africa, which caused merriment and applause"(TW, Dec. 4, 1899, p. 8). In the sixth concert he "threw much humor into the lecture he delivered as the views came and went" and sang the patriotic smash hit by Kipling and Sir Arthur Sullivan, "The Absent-Minded Beggar"(about destitute families of Imperial Boer War soldiers), as well as "We Won't Stand It Any Longer" (TW, Dec. 11, 1899, p. 2). 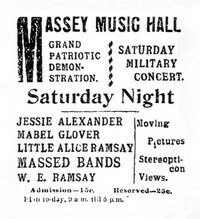 In one of his last concerts in Toronto, a "Grand Patriotic Demonstration" at Massey Hall, with moving pictures, stereopticon views, massed bands and vocalists, one of the featured artists was "Little Alice Ramsay", his daughter, probably playing the piano (TDS, March 1, 1900, p. 8). W.E. also worked independently as a film-lecturer, apparently specializing in sports. In 1897, Ramsay announced, did the colour commentary and between-the-reels patter for a 100-minute wide-screen (63 mm.) film of the world heavyweight boxing championship fight between Patrick James "Gentleman Jim" Corbett and Robert Fitzsimmons. The match had taken place in Carson City, Nevada, on March 17, 1897, and was filmed in its entirety by the Veriscope Company using three static cameras and over two miles of film. Wyatt Earp and Bat Masterson were said to have been hired to manage the corps of bouncers at the match. After initial controversy in Toronto over the morals of fighting for money, the film opened at the Grand Opera House at 8 p.m. on August 9, admission 15¢, 25¢, 35¢ and 50¢, with bargain matinees at 2:30 daily (G Aug. 9, 1897, p. 2). On August 18 there was a matinee "reserved exclusively for ladies" (G Aug. 12, 1897, p. 10), as ladies had been the major clientele for this film in the U.S.A. In Halifax, probably when the screen went white at some reel change or flickering interlude in the then-tattered film, Ramsay quipped, "Later in the day it began to snow", and someone in the gallery retorted, "You're a damn liar!" ("More Candid Chronicles" by Hector Charlesworth, MacMillan, Toronto, 1928, p. 314). Incidentally, restored copies of that entire fight film still exist. An uncredited article from the Toronto Public Library clipping file (THE 71, Fiche No. 192/239, Theatre Entertainers) contains biographical information on Ramsay and Rich, as well as their photographs (probably from TSW in 1923; thanks to Lee Ramsay). WHO WAS MR. W.E. RAMSAY OF TORONTO? With access now available to genealogical material on the internet, plus family input, we were able to find out that W.E. 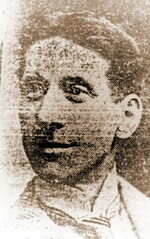 Ramsay was born in Norwich, Norfolk, in June 1864 (England & Wales, FreeBMD Birth Index, 1837-1983). He and his family turned up in the English Census of 1871 in St. Mary-in-the-Marsh Parish, Norwich, Norfolk. 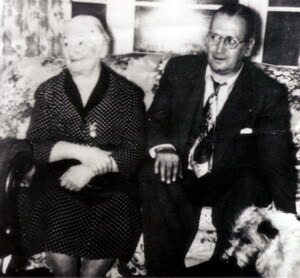 His parents, William (age 34, Scottish-born and a colliery agent) and Hannah (age 36, born in Norwich), were then living with Hannah's parents, coal merchant William and Elizabeth Painter (both age 63), and the children were William (age 6), Joseph (age 5), Elizabeth (age 4), Alice (age 2) and Henry (age 2 months). 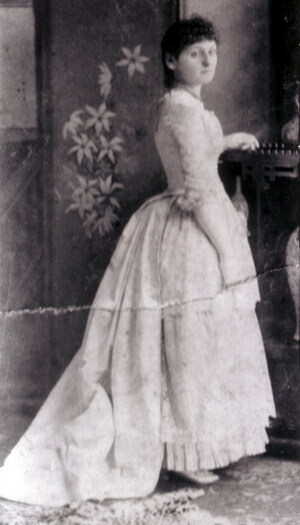 In the English visit in 1894, Mrs. Ramsay met the family, who were quite well-to-do through owning a tannery business. Furthermore, she liked to relate that the Ramsays were related to Lord Dalhousie, whose third son, Commander Alexander Ramsay, married the famous Princess Patricia of Connaught, daughter of Queen Victoria's third son Arthur (personal communication from Lee Ramsay). We found one W.E. Ramsay, born in England in 1864 and living as a miner in Central City, Dakota Territory, according to the 1880 U.S. census. The family thinks that W.E. was their "black sheep" and, if this were him in Dakota Territory at age 16, this would confirm that evaluation. Central City, along with Deadwood and Lead, is in the 1875-78 gold-rush area of the still-disputed Black Hills Lakota Sioux Indian Territory. By 1880, this district was the most densely populated area of that territory. Other residents included Wild Bill Hickok, Calamity Jane, Wyatt Earp and Chief Sitting Bull! Recently, Betty discovered on the Notre Dame University website, a W.E. 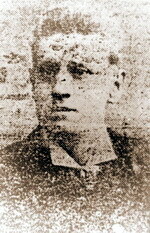 Ramsay as a student there in 1883-84, involved in their theatre productions for the Euglossian Association (NDS, 1883-84). He played "Box" in Burnand and Sullivan's "Cox and Box" (Jan. 9, 1884), was in a play called "Louis XI" (Feb. 22, 1884), sang "Tempest of the Heart" in a scene from "Henry IV" and played Antonio in another from the "Merchant of Venice" in the Euglossian Festival's Annual Shakespearean Entertainment (Apr. 24, 1884). Later he was Antonio again in "Merchant" (June 20, 1884) and re-appeared in "Louis XI" (June 21, 1884). The university's Assistant Archivist told us that this W.E. Ramsay registered there on November 1, 1883, age 18, a matriculating student from Central City, Dakota Territory, and attended for two sessions, 1883-84 and 1884-85, departing on May 19, 1885. He studied elocution, rhetoric and phonography (an early kind of shorthand) and they have a record that his credit account was charged for sheet music. So he must have studied singing as well as the stage arts. The clincher was that Notre Dame also retains a copy of a hand-written letter from W.E. Ramsay, on the letterhead of John N. Lake, Manning Arcade, King Street West, Toronto, and dated February 28, 1891. In it Ramsay stated that he had been ill with inflammation of the bowels for the past three years, that he was not making any money and that he had "just been married six weeks yesterday"; that is on or about January 13, 1891. Therefore, Notre Dame's W.E. Ramsay from England, by way of Dakota Territory, is definitely our man, since the record shows that our William Everett Ramsay was married to Miss Asenath Fowler at St. James Anglican Church in Toronto on January 15, 1891 (LoT Vol. 3, p. 594). From the 1890-93 recording dates of the surviving commercial cylinders in Paul's collection, one can fairly assume that Mr. W.A. Holmes of Warkworth was likely buying commercial cylinders for his concerts up until about the middle 1890s. Judging from the good condition of the surviving brown wax cylinders, which are relatively soft, one can also assume that his phonograph concertizing may have terminated by around the middle 90s as well. It is not unreasonable to conclude that the voice of Mr. W.E. Ramsay of Toronto was committed to wax by Mr. Holmes or a colleague within this brief period of activity. That is, after 1891 and possibly before 1895. Asenath "Zena" Fowler was born on June 14, 1868, in Fort Gratiot, St. Clair County, Michigan, the second of three daughters of William and Jane Fowler. William and Jane were born in England, and he was a butcher (U.S. Census, 1880). Asenath (a Biblical name, the Egyptian wife of the patriarch Joseph; Genesis 41:45) began to play the piano professionally in Port Huron, Michigan, at age 10, and she recalled being punished for playing scales on her knees in church. The family moved to Toronto when she was 12 (G, Aug. 30, 1952, p. 11). W.E. married Asenath Fowler at St. James Anglican Church, Toronto, on January 15, 1891 (LoT Vol. 3, p. 594) and we found her as piano accompanist for Rich and Ramsay at the Pavilion as far back as early 1892 (G, Apr. 6, 1892, p.8,) as well as for her husband alone (G, Apr. 27, 1892, p. 8). That is likely her accompanying him on Paul's brown wax cylinder. They had three children, son Everett, daughter Alice Elizabeth and daughter Grace (TES, March 7, 1898, p. 1), who died young. W.E. deserted Asenath in September 1900, for a woman in New York City (personal communication from Lee Ramsay). His Imperial Majesty's Parliament later passed "An Act for the Relief of Asenath Ramsay", dissolving the marriage, and stating that W.E. Ramsay had been in Baltimore, Maryland, since the break-up (Statutes of Canada, Chapter 153, 6 Edward VII, assented to 13th July 1906). Lee's father Jack Ramsay, son of Everett and grandson of W.E., met his grandfather once in Chicago in 1927, when W.E. was touring with a road company. Aside from that meeting, when Jack was 7, the family knows nothing of the later story or of the fate of William Everett Ramsay. None of the Billy Rose Theatre Collection of the Rogers and Hammerstein Library of Performing Arts at the N.Y. Public Library, Library and Archives Canada, the American Musicians Union nor the Toronto Musicians Association has any record of W.E. Ramsay. After the separation, Asenath was given a benefit concert at the Pavilion, with E.F. Clarke, M.P. in the chair (TDS, Dec. 15, 1900, p. 6; ibid., Dec. 17, 1900, p. 3), an indication of how highly regarded she was. She taught piano through the Robert Simpson Company and in her own studios (MTCD), and around 1911 played for a year with Shea's Orchestra at the Carls-Rite Hotel, 174-80 Front Street West at Simcoe Street. This job was a kind of probation, after which she got a letter telling her that, since she "had been no disgrace to the orchestra, though a woman", the Toronto Musical Protective Association was granting her union membership. She believed that she was the first woman in the world to join a musicians' union (G, Aug. 30, 1952, p.11). Afterward, she played at the Strand Theatre on Yonge Street near the Arcade for four years and then was the pit organist at the Allen Theatre (renamed the Tivoli in 1923) from its opening until the talkies arrived 12 years later. She also played with Luigi Romanelli's Orchestra at the Allen and at the King Edward Hotel. Mrs. Ramsay retired around 1940, at 72, and died in Toronto, May 28, 1957 (TDS, May 29, 1957, p. 28). Unfortunately, her son disposed of her effects and her trunkful of memorabilia after her death (personal communication from Lee Ramsay, March 16, 2005). SO, WHAT BECAME OF W.E.? We were despairing of ever finding any evidence of W.E. Ramsay in the U.S.A. Betty, however, took it upon herself to grind through all of the Ramsays that turned up in The Star database over many years and came up with a tiny squib, an appeal by Everett R. Ramsay of Chicago for information on the whereabouts of his father, former New York character actor Allan Ramsay. The reason for the quest was that Everett's sister Alice had died on March 8, 1926 (TDS, April 10, 1926, p. 8). So we have five points of concordance in this squib: actor, Ramsay, son Everett, daughter Alice and Chicago. We then found that Alice ("Little Alice Ramsay"), young wife of Dr. Charles Sheard, Jr., had died in Toronto (G, March 9, 1926, p. 9; TDS, March 9, 1926, p. 15), and that her mother was still in Toronto. Armed with W.E. 's American stage name, Allan Ramsay, we quickly found him listed on the Internet Broadway Database in six plays and we followed through in the New York Times theatre section and in "The Chronology of American Musical Theatre" by Richard C. Norton. Ramsay was in a revival of the comic opera "Nell Gwynne" at Koster and Bial's (opened May 6, 1901), in George M. Cohan's "Mother Goose" at the New Amsterdam Theatre (opened Dec. 2, 1903), in "A Little of Everything" at the Aerial Gardens, New Amsterdam Theatre (opened June 6, 1904), in "Lifting the Lid" and "A Gilbert and Sullivan Review" at the Aerial Gardens (opened June 5, 1905), in "The Pearl and the Pumpkin" at the Broadway Theatre (opened Aug. 21, 1905), with Ethel Barrymore in "The Lady of the Camellias" at the Empire Theatre (opened Dec. 24, 1917) and in George M. Cohan's "American Born" at the Hudson Theatre (opened Oct. 5, 1925). The newspaper reviews never mentioned Allan Ramsay, except in the cast lists. In the middle of June, 1894, the Toronto Ferry Company put up a new pavilion (arrow) and wharf at Hanlan’s Point, in conjunction with the moving and refurbishing of their newly purchased Hanlan’s Hotel (TES, June 11, 1894, p. 2). 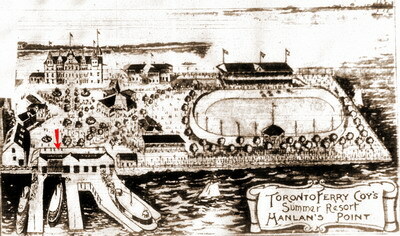 They engaged the 48th Highlanders Band for the first of a series of free concerts at this "Toronto’s Coney Island", under manager J.C. Conner. During that summer they staged music and stage attractions - military bands, balancing acts, skaters - for the patrons of the company’s four ferries, at 4 and 9 p.m. daily (TES, June 30, 1894, p. 4). The next summer, the first Roof Garden in Canada was erected in four days on the flat roof of the pavilion (TES, June 22, 1895, p. 4), high above the waiting rooms beside the wharf, far above the heat and above the din of the merry-go-round. This picture must have been drawn just before the Roof Garden was put up. The Garden measured 125 x 27 feet, with a 20 x 15 foot stage at one end, seating capacity for 700, access and exit stairways and "practical awnings for all weathers" (TES, June 27, 1895, p. 4). It had no stage curtains and no scenery, but featured hanging baskets of greenery with garlands, twinkling electric lights, Japanese decorations and cool evening breezes from Toronto Bay on hot evenings. On calm nights they could open the curtains on the city side so that patrons could also hear the sound of the waves against the dock. It was like being on the deck of a steamer (TES, July 17, 1895, p. 2). The Band of the 48th formally opened the Roof Garden at 7:30 p.m., Monday, June 24, 1895 (TES, June 22, 1895, p. 4) and, despite days of rain, business was excellent (TES, June 29, 1895, p. 2). In the first week of 60-minute shows, they presented Scottish singers, dancers and bagpiping, a country fiddler, a champion eccentric dancer and a lightning-fast portrait artist, plus Rich and Ramsay at every performance (TES, June 29, 1895, p. 3). Since Ramsay performed in New York, it was reasonable to look for him in the "New York Times Name Index". He turned up just once, in his obituary (NYT, Sept. 22, 1931, p. 27). The piece said that he was an actor, born in England 68 years before, died in St. Luke's Hospital the day before and was survived by his widow, Mrs. Ida Shannon Ramsay. Also that, in 1925, he had been a member of the cast of Cohan's "American Born", played in "The Menace" in 1927 and that his last role was in Brock Pemberton's production of Valentine Davies' early play "Three Times the Hour" at the Avon Theatre. That play had opened less than a month before, on August 25, 1931, and it closed at an unknown date in September, after 23 performances. With the date established, we found a Canadian version of the obituary (TDS, Oct. 21, 1931, p. 4), saying that "Bill" Ramsay had never taken out naturalization papers in the United States, though a resident for many years. That's why he never appeared in the U.S. Social Security records. Recently, however, playing with the various spellings of his name, we found him and his New Hampshire born wife, Ida, in the 1920 and 1930 U.S. Census, under Allen Ramsey, actor, living in the Borough of Manhattan. Incidentally, Valentine Davies later received an Academy Award for the story that became "Miracle on 34th Street", wrote and directed "The Glenn Miller Story"( Universal, 1954) and "Bachelor in Paradise" (MGM, 1951), and wrote many other screenplays. We also found that "The Menace" had played in Chicago in 1927, and the Chicago Tribune website placed the show there in November, which must be when and where Ramsay met Everett's son, his 7 year-old grandson Jack. So, we have sorted out William Everett "Allan" Ramsay, from his birth in Norwich to his time in Central City, Dakota Territory, to his two years at Notre Dame University in Indiana, to his successful vaudeville years in Toronto, to his many years as a minor player on Broadway. The twelve year hiatus between his last Broadway show in 1905 and his re-appearance in "The Lady of the Camellias" is quite obscure and has yet to be investigated. But we do know the name, if not the identity, of his American wife and we know when and where W.E. died. The family presumes that his death was from heart disease. A gruelling and fascinating search, and a miracle that the sound of his voice survives on a fragile brown wax cylinder. Harry William Rich, of Rich and Ramsay, was born in London, England, around the middle 1840s, left in the early 1870s with his first wife for theatrical seasons in India and Australia, went to New York, then to Toronto in 1874 for the opening of Mrs. Morrison's Grand Opera House. From 1875 - 90, he was a singing comedian in touring shows in the U.S., managed minstrel shows in New York in the late 1880s, but returned to Toronto occasionally to play in the Queen's Theatre on King Street and was part of the Holman Opera Company at the old Royal Lyceum Theatre on King Street. Among his many roles, Rich played Touchstone in "As You Like It" and Sir Joseph Porter in "H.M.S. Pinafore". A widower from 1880, he married Annie O'Connor of Toronto by the late 1880s (Mary Shortt in "Canadian Dictionary of Biography" on-line). Harry Rich was afflicted with a gradually progressing "locomotor ataxia", retired from the stage after 1900 and was eventually confined to a wheelchair (G, May 7, 1914, p. 8; ibid. May 11, 1914, p.6). He headed the Rich Concert Agency (or Rich Entertainment Bureau, offering "private tuition in dramatic gesture, elocution and mime") and taught the young Beatrice Lillie, giving her the material, stage presence and broad gestures that made her famous. She called them "Rich Gestures" but she hated Rich, because he pounded the floor in rhythm with his walking stick and apparently hit her on the head with it once. " ‘Miss Beatrice,' he'd say, rapping on the floor for attention, ‘you are not supposed to be flagging down a trolley car. Your hands must be graceful. Take it from the beginning again.' And again and again." ("Every Other Inch a Lady", Doubleday & Co., Garden City, N.Y. 1972, p. 42 et seq.). Harry died at the Toronto Free Hospital for Consumptives in Weston, May 6, 1914, admitting to age 57, after a short bout with tuberculosis (G, May 7, 1914, p. 8). Harry's eldest son, Harold Rich, was a famous local pianist, one of the original members of the Dumbells Orchestra, led a band at the Palais Royal at Sunnyside and was a vaudevillian on the Loew's circuit (G, Dec. 6, 1963, p. 9). Paul Dodington's collection of early waxes includes commercial recordings by George J. Gaskin "The Silver Voice Irish Tenor", by Gaskin's Manhansett Quartette, by cornet virtuoso and march composer W.S. Mygrant, and by George Washington Johnson "The Ragtime Ephemerist", born a slave and the first black musician to record. The collection also includes quite a few unique home-made cylinder recordings of Canadians of that distant period, professional and semi-professional artists as well as total amateurs. There was once a rich treasure of home-made Canadian cylinder recordings made by travelling phonograph concert entrepreneurs, many recordings likely announced but all unlabelled, on fragile brown waxes. We intend to put together an intriguing article on what of these recordings once existed and what has survived over the intervening 112 years. Please be on the look-out for any of these unique brown waxes or for any announcements or reports of the existence of such recordings. For example, Paul also found a concert prospectus from another travelling phonograph concert company, Hopper and Rayson of Cookstown, Ontario. Their list included a cylinder of the comic song "Jolly Company", sung by Harry W. Rich! In looking for any connection between Ramsay and the Holland Brothers’ Vitascope franchise, we found that an Allen Ramsey directed many talking pictures for the Edison Kinetophone studio in the Bronx in 1913-14 ("Magic Moments; First 20 Years of Moving Pictures in Toronto [1894-1914]" by R. M. Gutteridge. Gutteridge-Pratley publ. Whitby Ont. 2000 pg. 163; "Birth of the Talkies from Edison to Jolson" by H. M. Geduld. Indiana Univ. Press 1975 pg. 67). We are not yet able to show that this Allen Ramsey is our W. E. (Bill) "Allan" Ramsay but W. E., having elocution training, vaudeville and dramatic experience and years of "delineating" magic lantern slides and films, would have been well qualified to be a director of the new "talkies" for Edison. He directed "Julius Caesar", "Edison Minstrels", "Nursery Favorites" and "Birth of the Telephone" starring Bell’s former assistant Thomas A. Watson, who became an elocutionist and Shakespearian actor. These 5-minute photoplays ran successfully for several weeks at the Shea’s on Yonge Street in Toronto (TW Mar. 25, 1913, pg. 9), preceded by Allen Ramsey himself giving a lecture "on camera". This film is now lost. Thanks to Paul Dodington; Lee Ramsay of the Theatre Collection, Toronto Reference Library, and her father Jack Ramsay; Dr. Charles Sheard III; Bill Pratt of CAPS; Sharon Sumpter, Assistant Archivist, Notre Dame University; the Internet Broadway Database Staff; Alan Walker, Special Collections, Toronto Reference Library; the staff of the Toronto Public Reference Library; the staff of the City of Toronto Archives and especially Sarah Carson; the Billy Rose Theatre Collection of the Rogers and Hammerstein Library, New York Public Library of the Performing Arts; Lee Lears, Maryland Department of the Enoch Pratt Free Library, Baltimore; United States Social Security Administration; William Gosse of Zetland Lodge; Florence Hayes, Music Section, Library and Archives Canada; Mary Bond, Client Services Division of Library and Archives Canada; Alex MacMillan of the Toronto Musicians Association; the American Federation of Musicians, Albert Fulton, Toronto Islands Archivist; and Sally Gibson, Manager of Heritage Services, The Distillery District, Toronto.